Philippines Air travel is the quickest way to travel! Domestic air travel in the Philippines is not only available but is also highly affordable and vast reaching. With so many islands to discover spread over such a large distance, Philippines air travel is easy, for tourists and locals alike. There are a number of alternative domestic Philippine airlines flying people all over the Philippine Islands on a daily basis. Below is a review of of the airline carriers that I have either travelled with or have had personal reports on. 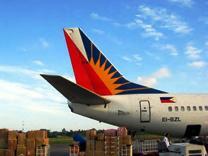 Philippine Airlines or PAL, is the longest established airline service in the Philippines. Not only does it run flights domestically but also to over 31 international cities. 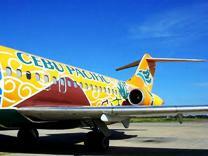 With more than 21 domestic destinations, Philippines air travel is well and truely catered for. 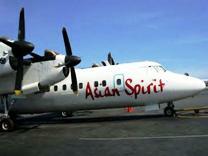 Asian Spirit is the Philippines new kid on the block, having sprouted wings in 1996. They cut there teeth on routes that were neglected by the large carriers and provided a dependable Philippine airline service. They have grown substantially and now fly to 16 cities from Manila, 5 cities from Cebu and 1 from Clark. Check in time is one (1) hour prior to departure, don't be late! Baggae is limited to a maximum of 18kg per person and less on some flights, ensure you ask before you book your flight. I have found Asian Spirit to be very personable and reliable. Air Philippines is another new Philippine airline, having only been in the skies above the Philippine Islands since late 1995. Air Philippines are a self confessed low cost airline. 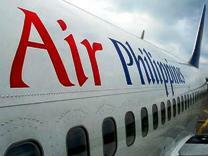 I have not flown with Air Philippines, however I have recieved some good reports. Cebu Pacific Air boasts that 86% of its fleet departed on time to the minute and 96% departed within 15 minutes of its scheduled departure time. With more than 22,000 departures, Philippines air travel has never been so prompt! With 17 destinations throughout the Philippine Islands and with the biggest gripe most travelers have taken care of, who wouldn't be happy. Check out Cebu Pacific's flight prices within the Philippines with Kayak.com, where you can and search domestic airfares with Kayak . South East Asian Airlines will probably get you to more off the beaten track destinations than most other airlines in the Philippines. They have a fleet of 11 planes and can reach destinations other major carriers cannot. They will fly and land on paved and unpaved runways alike. They can reach over 19 remote areas around the Philippines. You can also charter a flight if you have a need and the money to get you there. There are a number of other Philippine air travel carriers, but the above are well respected and will get you to your dream destination in little to no fuss. Photos on this webpage kindly supplied by Eric Saguin, to view his beautiful images go to his website.